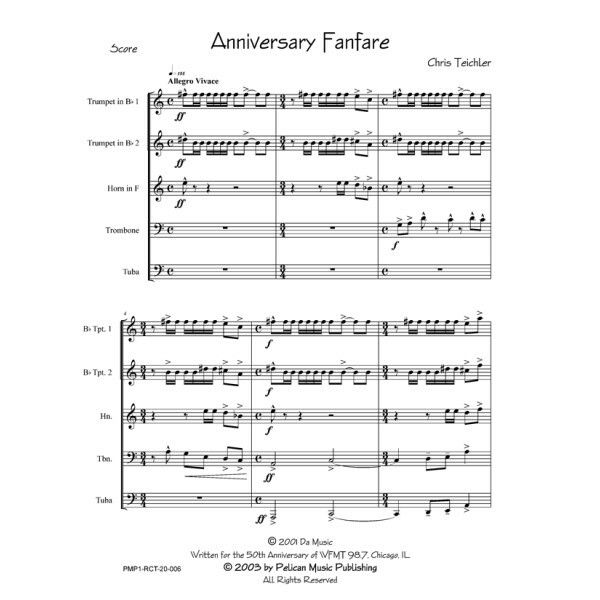 This fanfare for brass quintet was written in celebration of the 50th anniversary of WFMT 98.7 in Chicago, IL. This energetic quintet is composed using multi-meters and a tempo of 144 bpm. 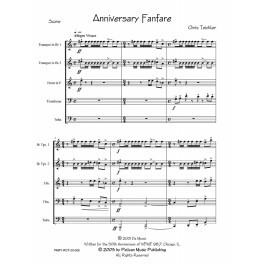 Definitely for the intermediate or advanced quintet.